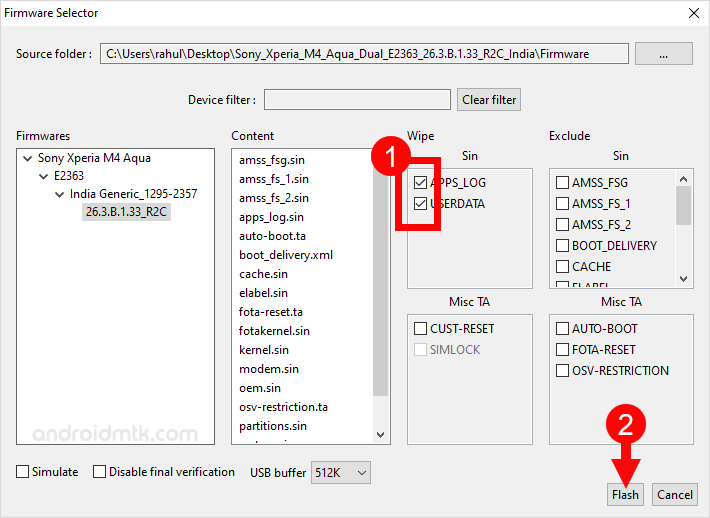 These are the instructions to flash Sony Xperia Firmware (ROM) on any Sony Xperia Smartphone and Tablet using the Sony Mobile Flasher Tool. Requirements: Your device should have at least 30-40 percent of phone battery to perform the flashing process. 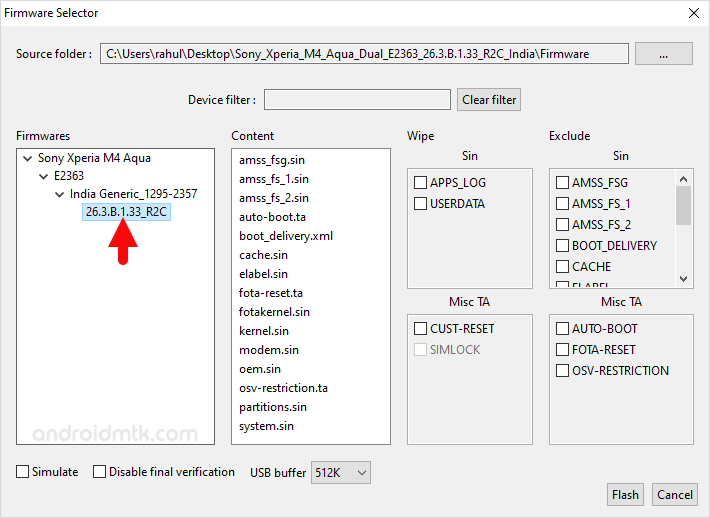 Step 1: Download and install Sony Xperia USB Driver on your computer. If you have already installed the USB driver on your computer then, SKIP this step. Step 3: Download and install Sony Mobile Flasher on your computer. 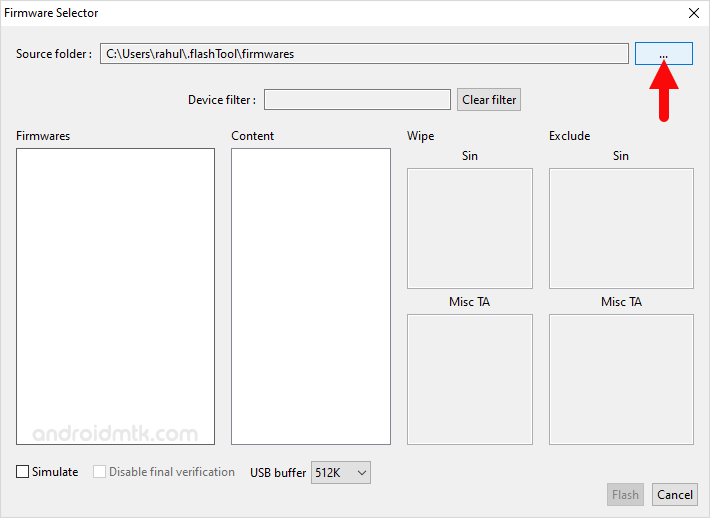 If you have already downloaded and Installed the Sony Mobile Flasher, then SKIP this step. Step 4: Once Sony Mobile Flasher is installed, Open It (C:drive > FlashTool). Step 6: Now, Click on Flash Button to continue. Step 7: Now, you will able to see the Bootmode Chooser dialog box. Select Flashmode and Click on OK to continue. 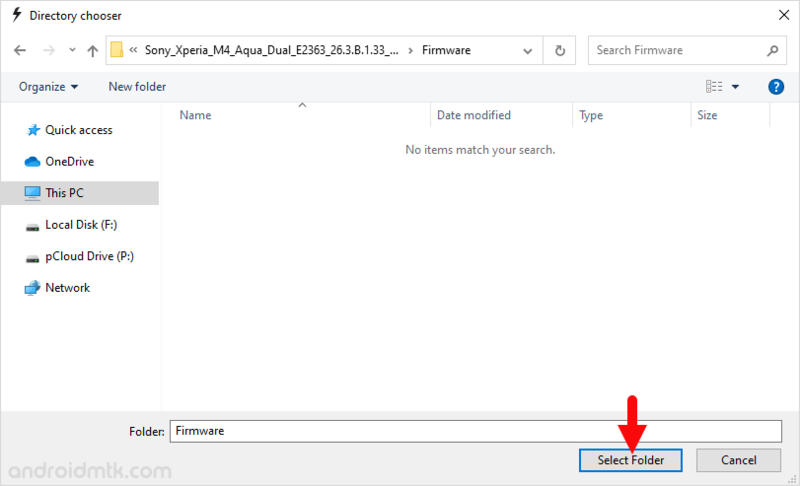 Step 8: Now, Click on the Load button and locate the Xperia Firmware (ftf file). Step 10: Now, Click on Flash Button to begin the Flashing process. Step 11: Now, Turn OFF your Sony Xperia Device. 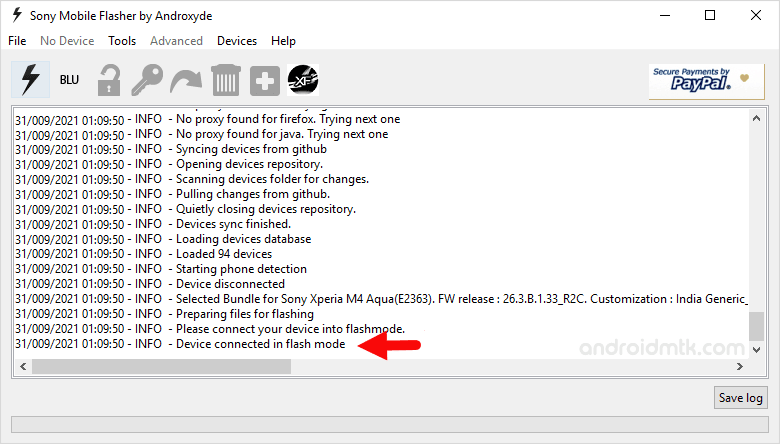 Step 13: Once, your device is successfully connected to the computer, then you will be able to see Added message in Sony Mobile Flasher tool. Step 14: Now, Flashing will begin automatically and may takes 5-10 minutes to complete. 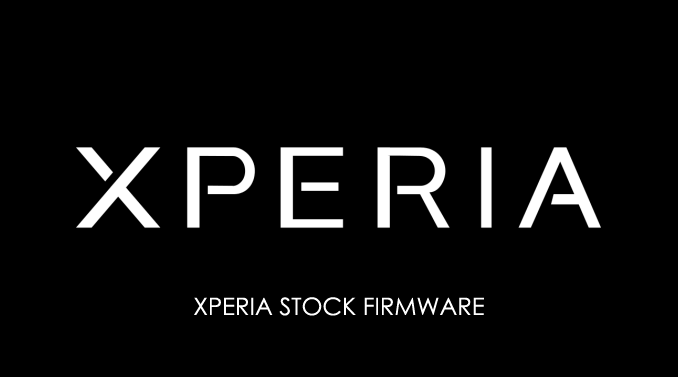 [*] Data Loss Process: Flashing Stock Firmware using the Sony Mobile Flasher tool will delete your personal data from the device. So, take a backup of your personal data before following the above tutorial. 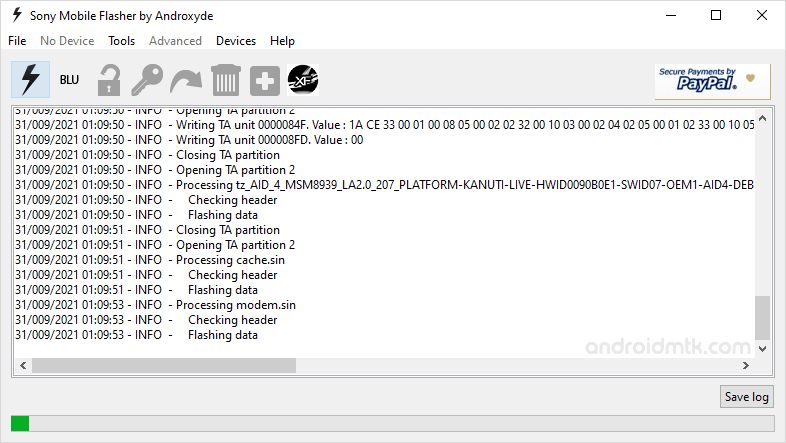 [*] Credits: Sony Mobile Flasher Tool is created by androxyde (developer). So, full credits goes to him for creating the application.